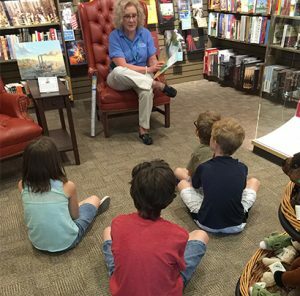 June 5, 10:30 a.m.–11:30 a.m.
Join the Oklahoma History Center for Okietales each Wednesday in June and July from 10:30 to 11:30 a.m. Okietales is a one-of-a-kind reading and storytelling time where kids see and hear history! This program is for kids five and older. The cost is $2 for OHS members and $4 for the general public. Please note: Okietales will not be held on Wednesday, July 3. June 8, 9 a.m.–11 a.m.
Visit the Sod House Museum southeast of Aline for a quilting workshop on Saturday. The workshop will take place from 9 to 11 a.m. with instructor Martha Ray, and the cost is $5 per person. 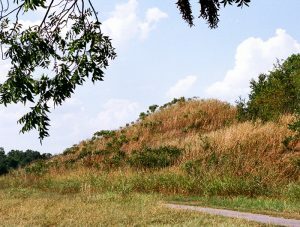 For more information please contact Director Renee Trindle at 580-463-2441 or sodhouse@okhistory.org. June 8, 9 a.m.–1 p.m. Learn a variety of historic recipes as you create a dish and discover how to use a Dutch oven in your backyard in a hands-on cooking class for teens and adults. Registration is $20 for OHS members and $30 for the general public, and includes all necessary materials. Registration will open on April 27 and close on June 5. 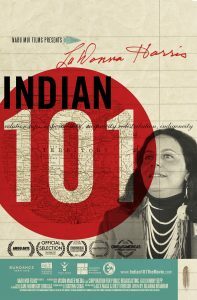 For more information, please email education@okhistory.org. June 12, 10:30 a.m.–11:30 a.m.
June 15, 7 p.m.–9 p.m.
June 19, 10:30 a.m.–11:30 a.m.
June 20, 7 p.m.–8:30 p.m. 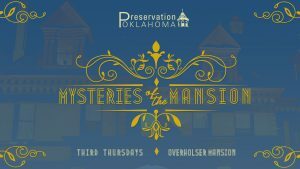 Mysteries of the Mansion tours are held on the third Thursday of the month. June 22, 1 p.m.–2:30 p.m.
June 22, 1 p.m.–3 p.m.
Join the Chisholm Trail Museum at Horizon Hill on Saturday, June 22, 2019, for our annual Ice Cream Social. We will provide the ingredients and you provide the muscle for homemade ice cream treats. Bring a lawn chair, partake in a variety of yard games, and get to know your neighbors as you enjoy delicious frozen desserts. This event is free; however, donations will be accepted. Available while supplies last. June 24, 8:30 a.m.–12:30 p.m.
June 25, 8:30 a.m.–12:30 p.m.
June 26, 8:30 a.m.–12:30 p.m.
June 26, 10:30 a.m.–11:30 a.m.
June 28, 7 p.m.–9 p.m.
Will Rogers Memorial Museum in Claremore will host a Movie Night in its newly renovated theater on Friday, May 31, at 7 p.m. Doors open at 6:30 p.m. Guests can enjoy free popcorn and drinks while watching David Harum (1934). This event is free to attend. Please call 918-341-0719 for more information. June 29, 11 a.m.–1 p.m.
On the last Saturday of each month, the Cherokee Strip Regional Heritage Center will host Family Fun Day from 11 a.m. to 1 p.m. Join us on Saturday, June 29, for pinwheel making! Each Saturday will feature a different theme and activity. All activities and supplies are included with admission and all family members are encouraged to participate. Please call 580-237-1907 for more information. June 29, 1 p.m.–4 p.m. Looking for a fun and productive summer activity? 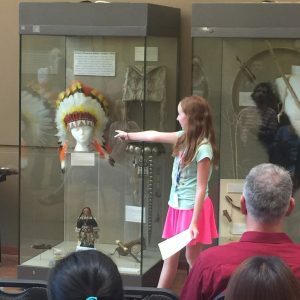 Participate in Oklahoma History Center’s Junior Curator Camp! This program is for students ages eight to twelve. Registration is $130 for OHS members and $150 for the general public. Registration opens June 3 and closes July 10. For more information or to receive a reminder when registration opens, please email education@okhistory.org. July 17, 10:30 a.m.–11:30 a.m.
July 18, 1:30 p.m.–3:30 p.m.
July 18, 7 p.m.–8:30 p.m.
July 24, 10:30 a.m.–11:30 a.m.
July 25, 10:30 a.m.–5 p.m.
Teachers, would you like to bring project-based learning and critical thinking skills into your classroom? Come to National History Day Boot Camp to learn about this adaptable curriculum for students grades 6 to 12. This program will be held Thursday, July 25, from 10:30 a.m. to 5 p.m. Registration is $10 for OHS members and $15 for the general public. Registration opens June 13 and closes July 17. For more information or to receive a reminder when registration opens, please email education@okhistory.org. July 31, 10:30 a.m.–11:30 a.m.
August 1, 6 p.m.–8 p.m.
August 2, 7 p.m.–9 p.m.
Bring the entire family to watch history come alive on Friday, August 2, from 7 to 9 p.m. Walk back in time with this theatre-style program as you visit each of our five historical scenes. Tickets are $10 for OHS members and $20 for the general public. Registration opens June 21 and closes July 26. For more information or to receive a reminder when registration opens, please email education@okhistory.org. August 15, 7 p.m.–8:30 p.m. 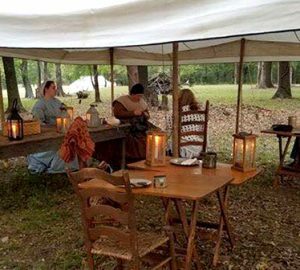 Ever wondered how living history or reenactor characters are created? 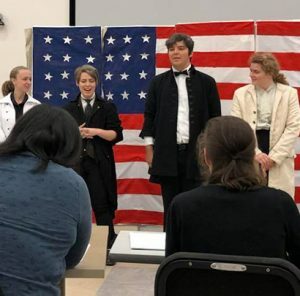 The Oklahoma History Center will offer a Living History Training Interpretive class on Friday, August 16, from 10:30 a.m. to 4 p.m. Come learn all the tips, tricks, and interesting stories behind creating a character. The cost is $40 for OHS members and $50 for the general public. Registration opens July 5 and closes August 7. For more information or to receive a reminder when registration opens, please email education@okhistory.org. 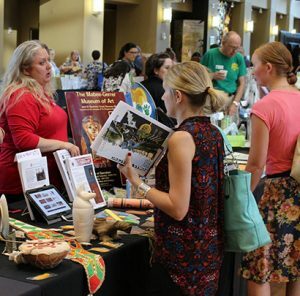 August 31, 10 a.m.–2 p.m.
Join us at the Chisholm Trail Museum and explore several traditional trades and skills on Saturday, August 31, from 10 a.m. to 2 p.m. Traditional trades and skills were the lifeblood of the community for decades, and craftsmen provided the items necessary for everyday life. Come explore a variety of trades and skills including woodworking, blacksmithing, fiber arts, laundry, and more. This family-friendly event is free. September 7, 10 a.m.–3 p.m.
Come one, come all to Septemberfest! 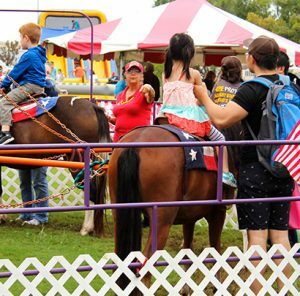 The 23rd annual Septemberfest will be held on Saturday, September 7, from 10 a.m. to 3 p.m. 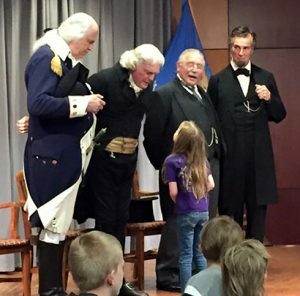 This free festival offers food and fun for the whole family, with activities inside and outside the Oklahoma History Center. 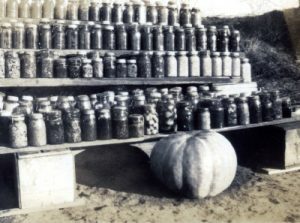 September 14, 10 a.m.–3 p.m.
Come learn how to can and preserve jelly with Extension Educator Taylor Conner at the Oklahoma State University Oklahoma County Extension Center on Saturday, September 14, from 10 a.m. to 3 p.m. This class is for ages twelve and older, and registration is $20 for OHS members and $30 for the general public. Registration opens August 10. 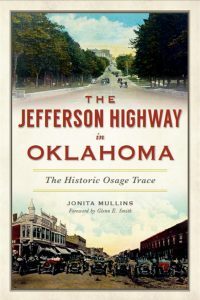 For more information or to receive a reminder when registration opens, please email education@okhistory.org. September 19, 7 p.m.–8:30 p.m.
Join the Chisholm Trail Museum for our fall lawn social and dance at Horizon Hill, the home of territorial governor A. J. Seay. This free event will be held Saturday, September 21, from 6 to 9 p.m. 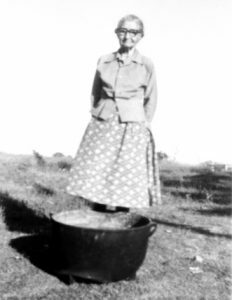 Lawn socials and dances were a common activity in Oklahoma Territory in the 1890s after. Activities will include lawn games, music, dancing, a cake walk, pie auction, and more. Dance instructions will be provided. October 17, 1:30 p.m.–3:30 p.m.
November 2, 1 p.m.–3 p.m.